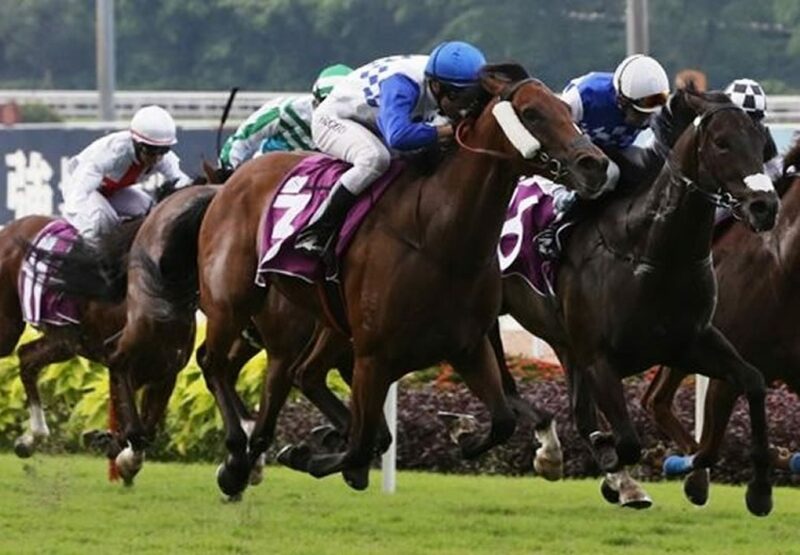 Formerly trained by Gai Waterhouse with good success as River Wild, Elite Excalibur (5g Fastnet Rock x Romantic River, by Irish River) claimed his first feature race win in Singapore on Sunday when taking out the Committee’s Prize Sng G3. Fourth in the Group I VRC Australian Guineas as a three year-old, River Wild was sold to Singapore in 2016 and is now trained by Cliff Brown. Billed as a star-studded contest worthy of a Group 1 label all week long, the handicap event had most of its 16 runners still in with a shot at the thicker end of the prizemoney when they spread across the track in the last two-furlong dash to the line. Elite Excalibur did best under strong riding from Michael Rodd to win the 1600 metre contest by a neck, his sixth win from 22 starts and first in a Black Type race. “My staff has done a great job with him. Three to four weeks ago, I wasn’t happy with him, but I changed a few things around, added winkers on him,” Brown said. Michael Rodd was well pleased with Elite Excalibur. “It’s a great performance from him to win a big race over the mile first-up. I always thought he could do it as he goes really well fresh,” he said. “I’ve learned a lot by watching Cliff and how he manages to get these horses ready for such races. It just blows me away. “Today, I had the perfect run on Glen Boss’s back (Infantry). At the 1200m, I saw him in front and I knew he would make all the right decisions, so all I had to do was just stay on his back. Elite Excalibur was passed in at Inglis Easter shy of his $350,000 reserve and retained to race by Coolmore before his sale to Singapore. Foaled and raised at Coolmore, he is a full brother to Group II winner Petrology and three-quarter brother to Group I winner and $1.9million earner Aqua D’Amore being the third stakes winner and last foal from Romantic River (USA), who was retired in 2016. Elite Excalibur is the 133rd stakes-winner for Fastnet Rock, who enjoyed a Group double at Rosehill last Saturday with Unforgotten and Comin’ Through.